Sania Mirza was all set for her sister Anam Mirza’s wedding. She was dressed up in Maroon Red Lehenga Choli with heavy embellishments along with red dupatta in Jade by Monica & Karishma. 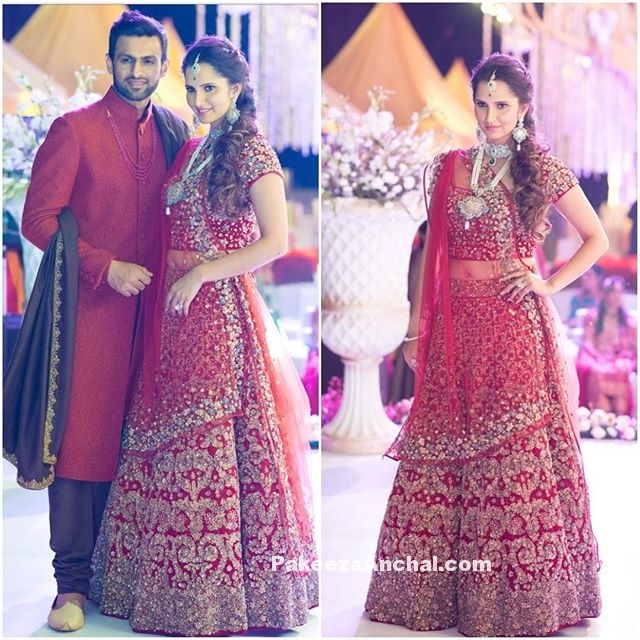 Sania Mirza wore pearl & Jhoomer jewelry to complete her looks fer the weeding event. She was accompanied by her hubby Shoib Malik in the photoshoot. 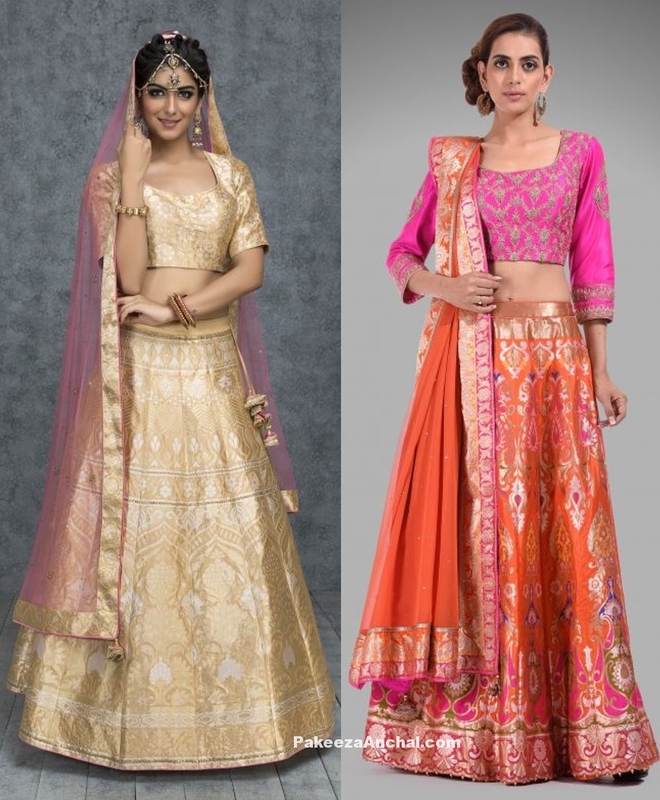 Benarasi Lehengas are used more often in weddings and are most preferred for brides. Handloom Silk lehengas with zardosi work and gold embroidery make the lehenga looks rich and stylish with all other embellishments to make it stand classic than other bridal wear. Banarasi Silk Lehengas look beautiful with Silk Odhnis and Chunnis and designs like Polka dot, prints, Self designs and crop off shoulder cholis for the bride. Shilpa Shetty looked stunning in stylish Silk lehenga by Tarun Tahiliani. 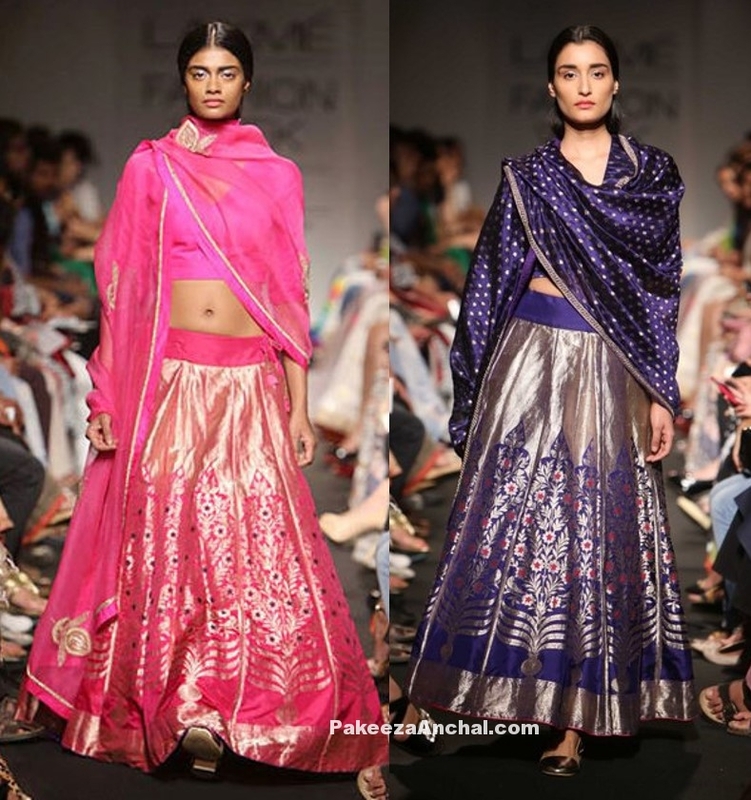 The rusty look Silk Lehenga Choli was perfectly puton Shilpa on the fashion ramp sowing her perfect navel and shoulder with a wrapped style Lehenga. Soha Ali Khan wore an elegant banarasi handloom lehenga choli for her wedding. The Benarasi Lehenga with silver print along with short silver choli and handpicked Jewellery. Kareena Kapoor was rocking the London Fashion Week 2016 by wearing a unique exquisite Lehenga designed by Sabyasachi. 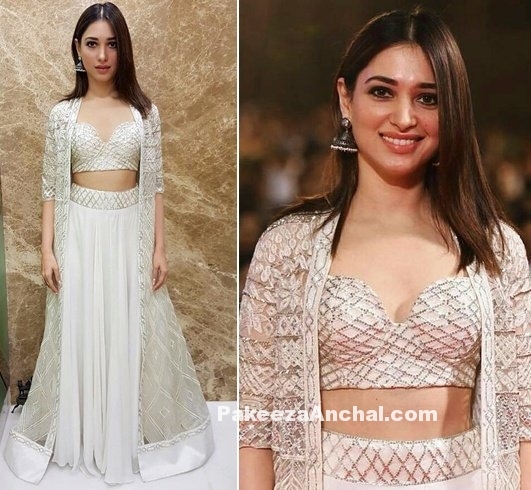 Lehenga was fully embellished with silver zari work and embroidery on the rustic colored cloth and Kareena Kapoor – the soon to be mom just looked like a fresh bride in this Trendy Lehenga. Bipasha Basu now known as Bipasha Basu Grover looked gorgeous in White Lehenga designed by Anita Dongre. She looked amazing in red sindoor giving a married Bengali look. Kareena Kapoor Khan looked flawless wearing a Royal Lehenga in Pastel shade embellished with heavy embroidery, zari and stone work. 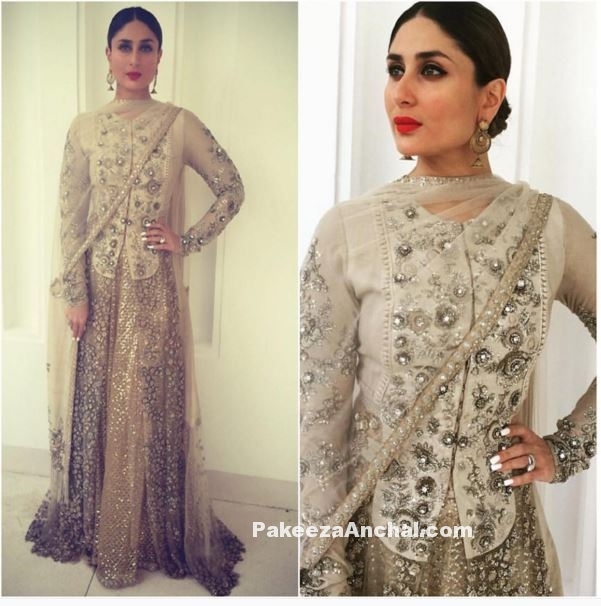 She looked like a perfect Royal Nawab Girl in this Outfit designed by Sabyasachi. She paired with with red lips and hair tied at back in a bun style during a store launch in Muscat. Dia Mirza wearing a Ethnic Golden Biege Lehenga designed by Manish Malhotra from his Regal Thread Collection 2016-17. She looked gorgeous wearing a classic Jewelry along with the beautiful Lehenga. Bipasha Basu was a dream girl of many Bollywood Actors, but she tied a knot with Karan Singh Grover, who was her co-star in recent Bollywood movie ‘Alone’. Bipasha Basu was seen in a Red Sabyasachi Bridal Lehenga with a pair of Kundan Jewellery by Jaipur Jewels on Saturday during her Wedding. Karan looked adorable in white. Shibani Dandekar looked beautiful wearing Payal Singhal’s outfit wearing a Blue tube Choli and a white Lehenga embellished with silver embroidery work. She looked outstanding and was in the best dressed list during the Lakme Fashion Week. She kept her hair open sliding down the bare shoulders. 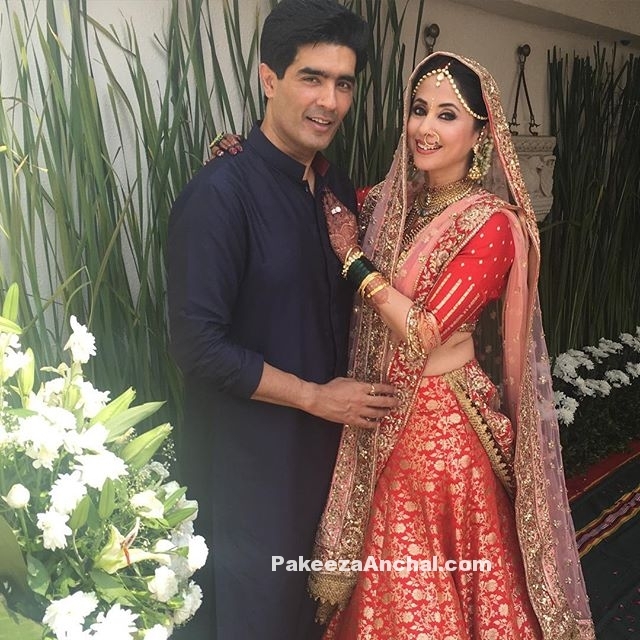 The Rangeela Girl Urmila Matondkar Got Married to Mohsin Akhtar Mir (A Kashmiri Model and Businessman). 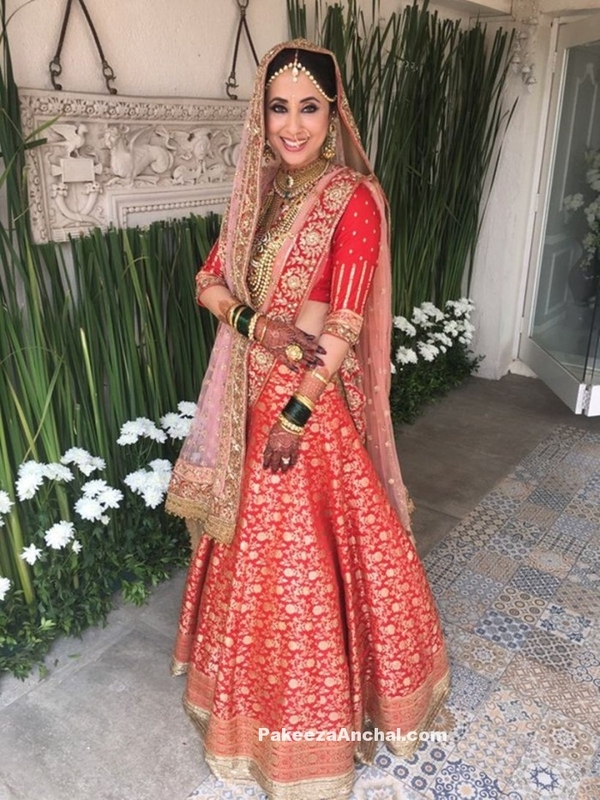 She was wearing a Red Bridal Lehenga by Manish Malhotra in the secret Wedding. Red Lehenga was one of a collection from ‘The Regal Threads‘ Collection with Silk and Banarasi brocade work with a pink soft dupatta with Gold lace work across the border.